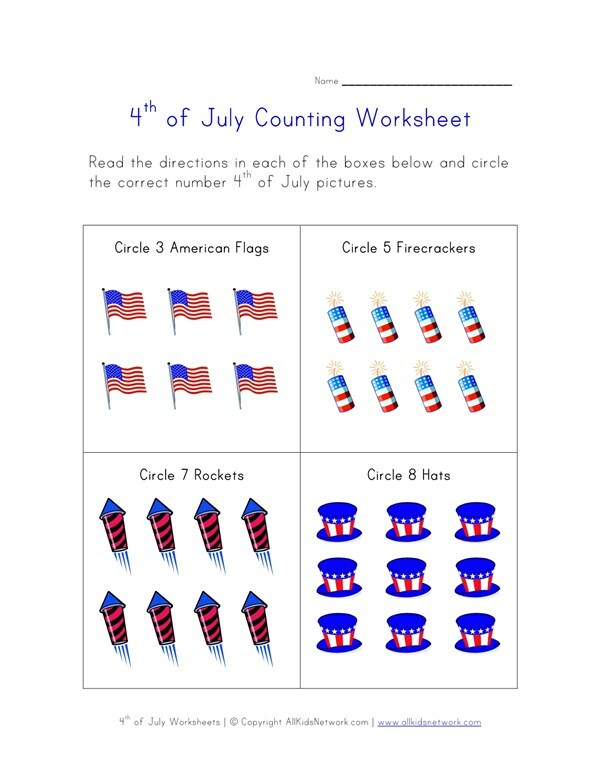 This 4th of July worksheet will help kids learn and practice counting. 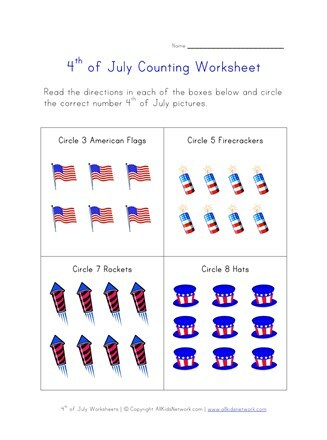 Kids are asked to circle a specific number of 4th of July images in each section. This is a simple and fun early math worksheet that is great for any preschool or kindergarten age child.